Do HD CCTV Video Baluns work with Analog CCTV Cameras? Home > CCTV Security Camera & Video Surveillance System Forums > CCTV Cables, Network Cable, Connectors, & Installation Support > CCTV Video Baluns > Do HD CCTV Video Baluns work with Analog CCTV Cameras? This topic contains 0 replies, has 1 voice, and was last updated by Mike Haldas 3 years, 4 months ago. A customer recently asked if HD CCTV camera video baluns could also transmit video from analog CCTV cameras. Here is a transcript of that discussion. We are converting a small IP camera system (2 cameras) over to an analog CCTV system mostly due to cost and cable run issues. My longest cable run at our mall is about 1000 ft kind of a bit for IP. Using the analog system, I can use cat5 and baluns to help on those long runs for less money. I have ordered baluns from your company to do some short run testing. We have about 16 cameras that have been left by the previous tenants of the building. They are 480 TVL and 960H type CCTV cameras. We plan on using these existing analog cameras first. We really don’t need the HD video for most of our work as each tenant is required to handle their security. However, I read on your website that HD CCTV cameras, like AHD CCTV, can also use the same camera as analog CCTV, so we may upgrade to AHD CCTV later. 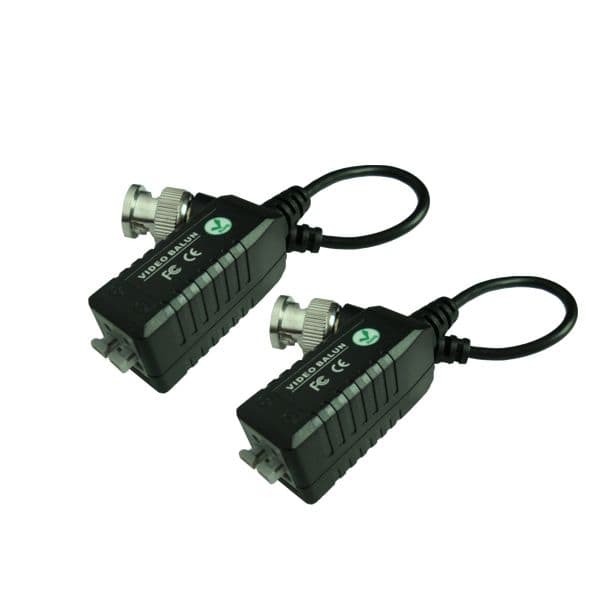 My Question: is there a video balun I can order today that supports analog CCTV and HD CCTV cameras, or should I get the analog ones for today video and later change over those I need on HD? I have already ordered VB-2V and Balun-4PHUB from your website. Thank you for your business. Unfortunately, HD baluns only work with HD cameras and analog CCTV baluns only work with analog. So you bought the right ones. If you install HD cameras later, you need to switch to HD baluns for any HD security camera that you install. This is the balun that works with HD cameras. It works with AHD, HD-TVI, and HD-CVI type cameras.